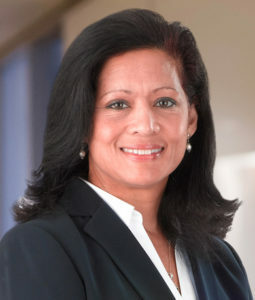 Andrea has over 28 years of experience working on complex cases as a litigation paralegal with much of her experience gained in the Courtroom supporting and assisting at trials with her combined trial technology knowledge. Andrea has attended numerous trials since 1988 providing visual presentations for attorneys on behalf of their clients by displaying critical evidence through technology with the goal towards a more seamless, time and cost efficient trial presentation for the jurors, as well as the Court system. Andrea previously served as Senior Paralegal and Trial Technician at Capitol Support Service in Harrisburg, PA where she not only provided litigation and trial support to law firms displaying their evidence at trial but worked alongside the Principals with further development of their litigation and trial support department and orchestrated numerous CLE seminars with law firms across Pennsylvania educating attorneys, paralegals and legal secretaries on trial preparation and integration of trial presentation software. She has extensive experience managing all aspects of computer network operations. Andrea has supported seasoned trial attorneys on cases across broad practice areas to include medical malpractice, healthcare and professional licensure, general liability, products liability, commercial and business litigation and insurance fraud.